Mulching veggie beds can increase porosity, minimize weeds, enhance soil retention, warm soil temperatures and add slow release nutrients. The effects aren’t all good, however. It depends upon the variety of mulch you choose to use and what benefit you want it to exert. Organic and inorganic mulches are available as vegetable garden mulch options. But which is the best vegetable mulch? Learn the different types and their attributes to help you make an informed decision on mulch for vegetable plants. Vegetable garden preparation is crucial to getting a bumper crop and large perfect fruit. There are many ways to prepare for the growing season. Amending soil with organic additions, weeding, fertilizing, putting in drip irrigation and planting companion plants for insect control are all part of the kick off for edible gardening. Adding mulch for vegetable plants isn’t necessary, but it may be the key to larger fruits and vegetables and easy care beds. Mulch in vegetable gardens is strictly an individual choice. 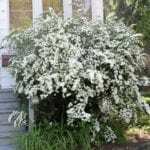 I find more benefit than detriment with the addition of mulch around my plants to keep in moisture and soil heat, and prevent weeds, since I abhor weeding. Some ill effects do exist and might include harboring insect larvae, promoting fungal and mold growth, introducing weed seeds, and cost and longevity of the mulch. These are all deciding factors on whether to use mulch. 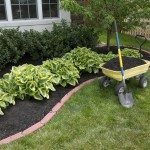 Overall, any potential problems would seem to diminish in comparison to the benefits of mulch, and there are numerous mulching solutions to help prevent any issues. Inorganic mulch in vegetable gardens, such as landscape plastic, can prevent any weed seed problems and will last all season. Organic mulches are easy to obtain and compost into the soil, adding nutrients that are natural and safe. What’s the Best Vegetable Mulch? As mentioned, the choice is yours; but as a rule, organic farmers rely upon organic mulches due to their availability, low cost and natural ingredients. That doesn’t mean that inorganic mulch isn’t appropriate, but avoid mulches like stone or gravel, rubber and glass. They make poor pathways and will get tilled into soil at season’s end, reducing the fertile composition of the garden bed. That being said, the best vegetable mulch is often arrived at by the tried and true method. 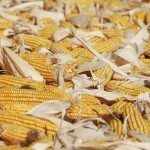 One old farmer will swear by corn cobs and another will swear by fine bark shavings. It also depends upon the goal. If the goal is simply to introduce nutrients over time, something that composts fairly quickly, like leaf litter, is a good choice. If you need to make your soil more acidic, pine needles will work best. Mulch for vegetable plants doesn’t have to be complex or expensive, but each has its attributes and drawbacks. 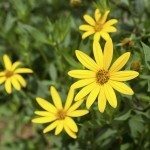 Keep it simple the first year and see what benefits you discover as you find the perfect mulch.